The Bizarre-Cósmic Art of ARTEMIOGEVARA! : "ELEPHANT MONKS". 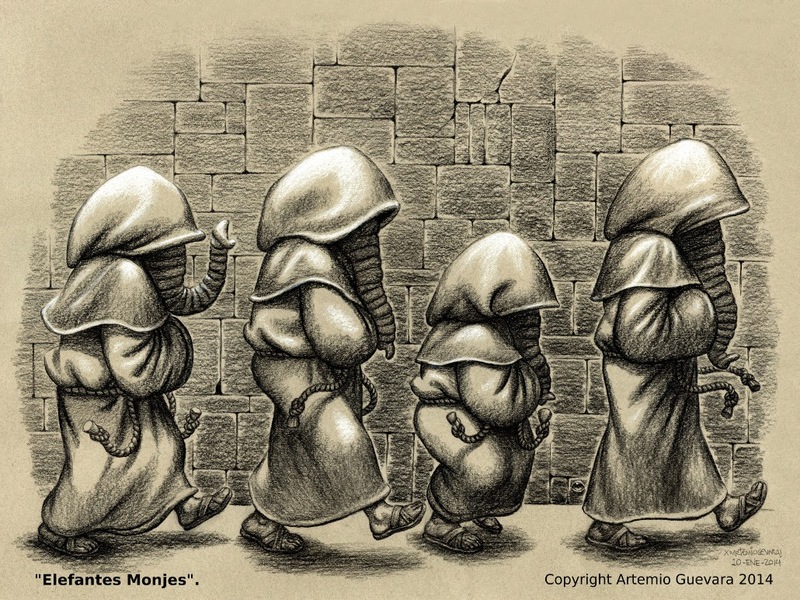 "ELEPHANT MONKS". The Bizarre-Cósmic Art of In Tekuáni Tótek Artemio Guevara.LINK: Facebook page.